J. Myers & Associates brings both a designer’s eye and a background in the building industry to model home merchandising in the Portland, Oregon metro area, and cities throughout the Pacific Northwest including Seattle, Washington. 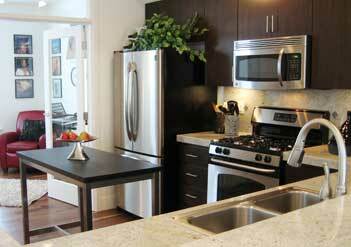 We go beyond typical home staging to successfully brand and merchandise your new housing development. Our approach begins by focusing on attracting a specific group of people, also known as your target market. We take the time to understand the target market and learn what will evoke their sense of home. We create “memory rooms” and memory points that will not only make your homes stand out, but they’ll also help buyers envision themselves and their lives in the home and housing community. We understand how important it is to connect the builder’s model home with the potential home buyer. When viewing the model, they need to feel comfortable and at home to see themselves engaging in their daily activities, as well as making the house a home. Showcases each interior space to advantage. 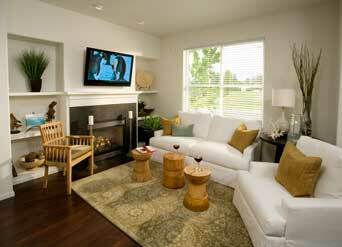 Creates distinctive, memorable, inviting homes. Emphasizes flexibility and multi-use: from media nooks to home office. Maximizes flow and create a sense of spaciousness and light. Helps close sales and meet profitability goals. For more information on model home merchandising contact J. Myers and Associates today!